Are you tired of being the best kept secret or a hidden figure? Are you ready to increase your visibility and credibility? TV interviews are a powerful tool that can be utilized to increase your credibility and visibility. 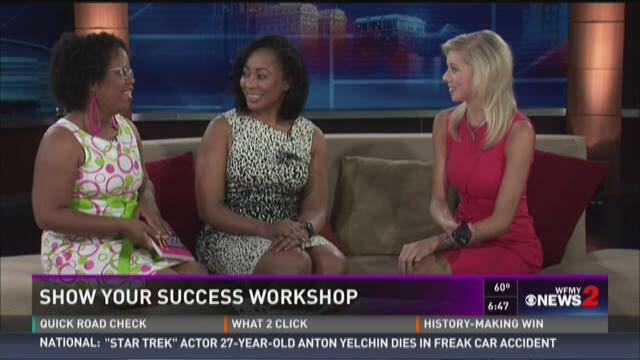 In this masterclass, you will learn how to book and leverage TV interviews. I registered for the TV Magic Masterclass with Stevii, and first let me say "WOW"! The information shared was invaluable! I learned that in order to even get on TV, you must have a product or service that will drive ratings. I also learned how to do a 15 second introduction and that the more I practice the more natural it will become. The entire class was full of golden nuggets, best practice on what it takes to make it TV! I now know the steps I need to take! But, first you must do your Homework and research the news station you want to pitch, the right people to connect with. And at the end of the day it's the connections/relationships you make with Media folks that can help you get in the door! Thank you Stevii for sharing your wisdom and knowledge!